Bird feeder at Buddha Amitabha Pure Land with roof painted with a mantra to bless all the birds who go under it to eat. Washington State, 2014. Photo by Ven. Kunsang. Resident Sangha at Buddha Amitabha Pure Land in Washington State and Kachoe Dechen Ling in California, in the United States, engage in weekly animal liberation practice; offer charity to over 80 different ant nests; perform extensive daily offering practices of water, light, incense, and flowers; make tsa-tsas and stupas daily for those who have passed away or who are sick; and engage in nightly Dharma protector practices and sur offering. 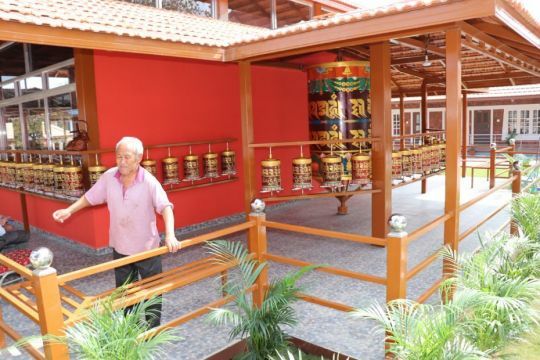 At Buddha Amitabha Pure Land a bird feeder with mantras on the roof blesses the birds while eating the seeds, and there are continuous mantras and sutras playing through a speaker which they can hear while eating. Additionally, a bird bath is filled with water blessed by mantras and precious substances so the birds receive blessings when they wash and play in the water. 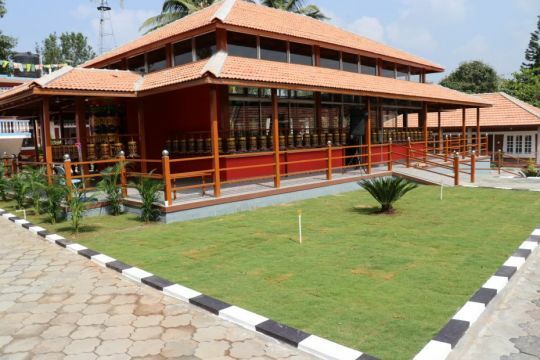 Speakers also play various sutra recitations and mantras so the birds can hear and receive blessings. During Summer months (when the snow is not present) the monks regularly visit lakes in the area to bless the sentient beings abiding there with Namgyälma mantras and blessed fish food. As they offer the food a speaker under the water plays sutras and mantras for the animals. At Kachoe Dechen Ling the Sangha make regular trips to the Pacific Ocean in order to bless all the beings living there by using large Namgyälma mantra boards and doing practices which bless the ocean with mantras. During the animal liberation practice, animals are carried around holy objects so they can create merit. All of this is done with extensive dedications and prayers for the entire FPMT organization and all beings, as requested by Lama Zopa Rinpoche. 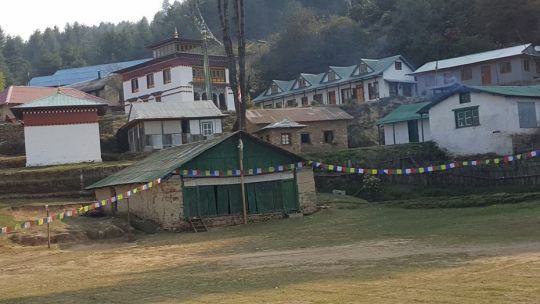 Approximately 125,149 animals were liberated at Amitabha Pure Land and Kachoe Dechen Ling in 2018. This year, over 51,000 more animals were liberated than in previous years and these were specifically dedicated to the long lives of Lama Zopa Rinpoche and Khadro-la (Rangjung Neljorma Khadro Namsel Drönme). Since 2015, approximately 728,099 lives were liberated. Not only were the animals saved from untimely death by the Sangha, they were also taken around an incredible amount of holy objects, mantras were recited and blown on them, and they were carefully placed where they could live out the rest of their lives. When Sangha finish these liberations, they make strong prayers for all those who are sick, have recently died, or who have requested prayers. This is one of the most beneficial aspects of this practice as the merit is shared among so many. Please rejoice in the liberation of these most vulnerable sentient beings who have no opportunity to protect themselves from danger or accumulate merit on their own. The Animal Liberation Fund sponsors these practices and offerings. All are welcome to contribute to this fund to help with one’s own life obstacles or obstacles to the lives of loved ones. New Year celebration attendees at Ganden Do Ngag Shedrup Ling, Mongolia. 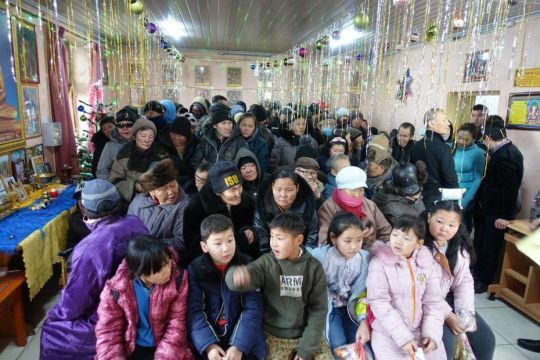 Beneficiaries offered songs and poems in Mongolian in appreciation of the generosity. Since 2003 Lamp of the Path NGO (LOP), part of Ganden Do Ngag Shedrup Ling, has offered essential social services in Ulaanbaatar, Mongolia. This year, the new year was celebrated with 130 poor and homeless individuals from the area thanks to kind organizers and volunteers from LOP. Hot soup, Mongolian dumplings, bread with jam, as well as cake and sweets were offered. Additionally, everyone was gifted with essential clothing items such as shirts, pants, coats, and socks. Please rejoice in this generous and kind celebration for those in need who might otherwise have no opportunity to enjoy welcoming the new year. 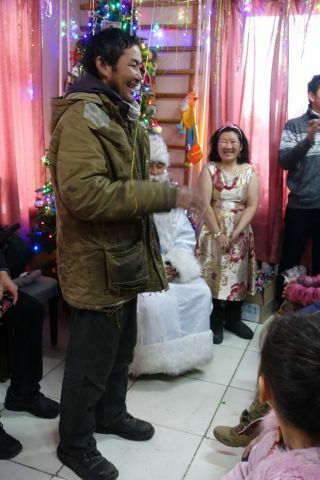 A child is offered warm clothes for the new year. The Social Services Fund contributes to many beneficial charitable projects as funds allow. You can learn more about these activities, or make a donation of any amount. You can offer directly to LOP to help ensure services such as these continue in Mongolia in the future. Children of Sagarmatha Secondary School engaged in prayer. 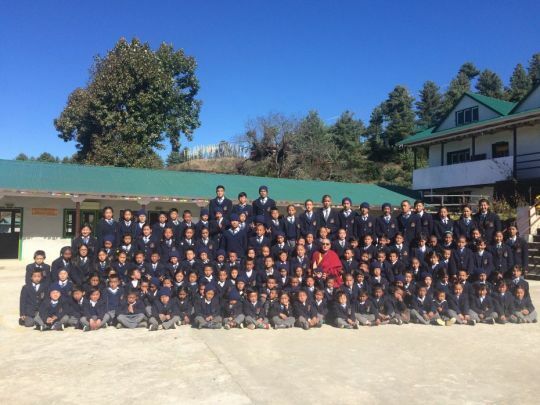 A school supported by FPMT Charitable Projects. 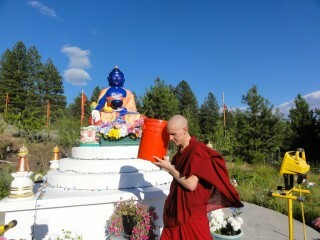 FPMT Charitable Projects had an incredible year offering support to beneficial initiates which include: offering food to ordained Sangha; providing scholarships to study Buddhist philosophy; offering to the main teachers of the Lama Tsongkhapa tradition and sponsoring annual debates; offering grants for social services such as schools, hospitals and monastic institutions; providing comprehensive Dharma programs; translating Dharma texts; sponsoring holy objects: statues, stupas and prayer wheels, and saving animals. We invite you to rejoice in a few areas of great accomplishment which were made possible by grants generated from FPMT Charitable Projects in 2018. The final handover of an endowment large enough to support the long-term health of the Sera Je Food Fund has been completed. The interest from this endowment will cover the annual costs associated with offering three nutritious meals daily for all the monks of Sera Je Monastery, for as long as the endowment remains. After offering the daily meals through the fund to the monks of Sera Je for twenty-six years, this is a massive achievement. A new project was launched, Protecting the Environment and Living Beings Project, which was initiated due to Lama Zopa Rinpoche’s recent advice that specific pujas and practices should be done regularly to pacify harm from the elements and to protect those (humans, animals, insects) who have been affected. 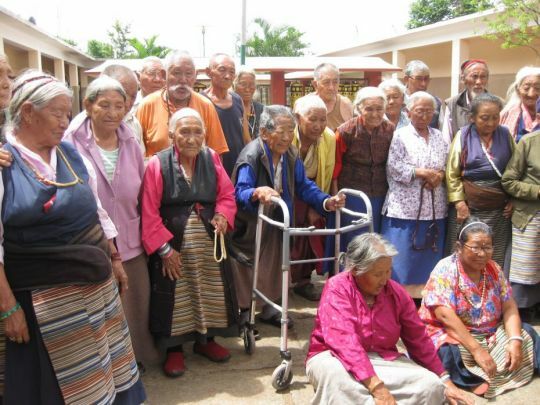 Residents of the Dhondenling Elderly Home, one of the elderly homes supported by FPMT Charitable Projects. 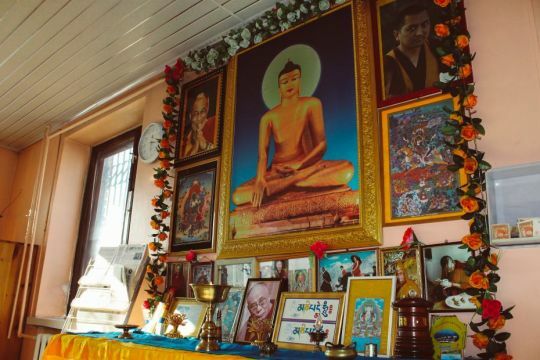 Ongoing support was offered to six elderly homes serving Tibetan refugees in India. We have been offering support to elderly Tibetans in this way since 2015. 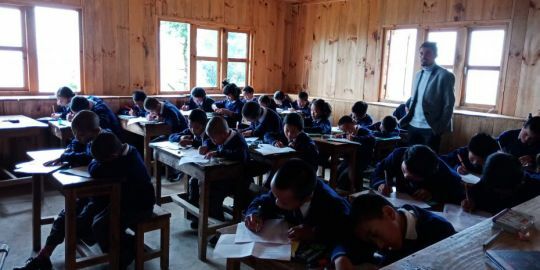 Ongoing support was offered to six schools providing education to children of Tibetan, Nepali, Sherpa, and Indian heritage in India, Nepal, and Mongolia. We have been offering support to education in this way since 2012. Completed rebuild of a magnificent 460-foot by 54-foot stupa, with a large prayer wheel inside, on the site where a previous stupa was destroyed by the 2015 earthquake in the Thame region of Nepal. Grants were offered to programs which support people in prison wishing to study and practice Buddhism in the United States, Australia, New Zealand, the United Kingdom, France, Italy, and Mexico through the Liberation Prison Project. On every one of the four great Buddha holy days of the calendar, up to 15,650 Sangha are sponsored through the FPMT Puja Fund to offer specific pujas and engage in particular practices selected by Lama Zopa Rinpoche and dedicated to the long life of His Holiness the Dalai Lama, and to the success of all the FPMT centers, projects, services, students, benefactors and those serving the organization in any way, as well as all beings. Continued support to annual Winter Jang Debate and Special Memorization Examination for top scholars of the Gelug tradition. Sponsorship of ten people continued with food and accommodation for each round of 108 nyung nä retreat at Institut Vajra Yogini, south-west France. This year marked the seventh round of 108 nyung näs to be completed there. Weekly animal liberations were sponsored at Lama Zopa Rinpoche’s residences in California and Washington State. Sangha offer the practice of animal liberation every week (the Winter months in Washington State are not conducive to this practice due to the snow being too much for the animals), dedicated to anyone who is sick, dying, or having life obstacles and extensive prayers are made for the long life of His Holiness the Dalai Lama and Lama Zopa Rinpoche. Dorje Pamo Monastery, a new nunnery for approximately twelve FPMT nuns in the South of France. Tremendous thanks to everyone who donated to the various FPMT Charitable Projects or generated good wishes for our work, and rejoiced in grants offered. 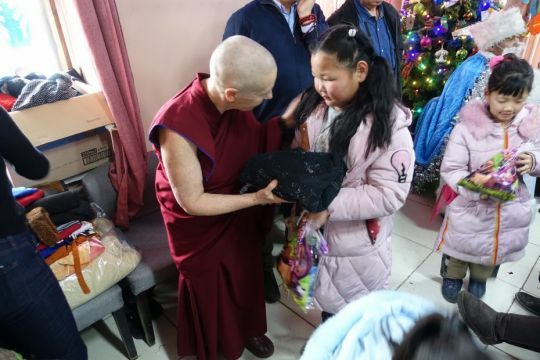 You can learn more about all the activities of FPMT Charitable Projects and keep up on news of grants offered and progress made on sponsored projects. Over 12,000 meals are offered to the poor each year through the LOP soup kitchen. 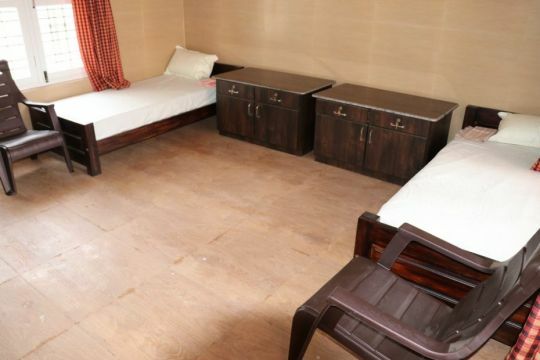 Lamp of the Path NGO (LOP), part of Ganden Do Ngag Shedrup Ling, has offered social services to some of the poor and homeless living in Ulaanbaatar, Mongolia since 2003. Its main program is a soup kitchen which offers food as well as free medical support through a health clinic, which reopened in 2017. LOP helps bring awareness to the epidemic of alcoholism in Mongolia and offers tuberculosis checkups for the disadvantaged in the area. Since 2012, a generous benefactor has worked with the Social Services Fund to provide ongoing grants to enable these charitable activities. According to a recent video report (below), LOP has sixty-seven consistent donors who help make this work possible. Altar at the LOP soup kitchen. Due to the kindness of others, I am able to receive this food and drink– How wonderful! May I eat and drink this food to be healthy and strong, kind and helpful, all day long! Please rejoice in fifteen years of social service being offered in Mongolia through LOP. You can offer directly to FPMT Mongolia to help ensure services such as these continue in Mongolia in the future. Welcome to our new initiative, the Protecting the Environment and Living Beings Project. This project began due to Lama Zopa Rinpoche’s recent advice that specific pujas and practices should be done regularly to pacify harm from the elements and to protect those (humans, animals, insects) who have been affected. “If you wonder what to do, what prayers to make when there are disasters caused by the elements (fire, water, wind, and earth) such as tornadoes, hurricanes, heavy rain, storms, floods, earthquakes, fires; as well as disasters that destroy crops; disasters that destroy entire towns and cities within one hour; disasters that cause so many billions of dollars of damage and so much money has to be spent to rebuild the towns; disasters where so many hundreds and thousands of people die or lose their homes, have no food or clean water; disasters where so many animals and insects are killed and harmed – Here I am offering some suggestions on what to do so that you can help a country at risk, save so many lives, and prevent the destruction of houses, villages, and cities,” Rinpoche explained in July 2018. We are very happy to announce that these have now all begun. Rinpoche has been emphasizing the tremendous importance of these pujas and practices and that this is one unique way that we can offer support for so many around the world. 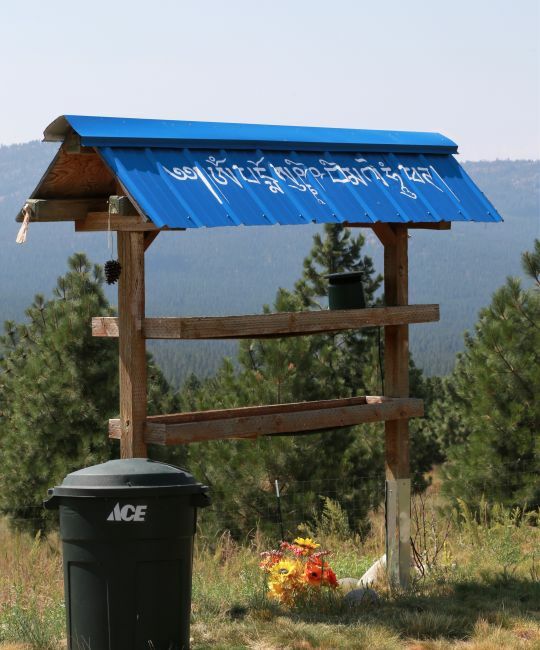 In 2012 Rinpoche had advised to build a Stupa to Minimize Harm to prevent earthquakes on the West Coast of the United States. The stupa was to be built in a very specific area, following the precise direction of Rangjung Neljorma Khadro Namsel Drönme (Khadro-la). For three years we tried to do this, but there were insurmountable obstacles to securing the exact land. After checking if we could build it elsewhere, Rinpoche then identified specific practices that could mitigate the dangers from the earthquakes. Incredibly, all these practices were completed and much more. The Protecting the Environment and Living Beings Project is following on from this advice and is relevant to needs right now in the USA and around the world. Rinpoche, in his incredible kindness, immediately offered $24,000 enabling us to begin sponsorship of the pujas and recitations without delay. Please consider being a part of this vision to benefit the environment, those affected by disasters of the elements, and all beings. You can learn more about the Protecting the Environment and Living Beings Fund, keep up on the latest news, or contribute with a donation. 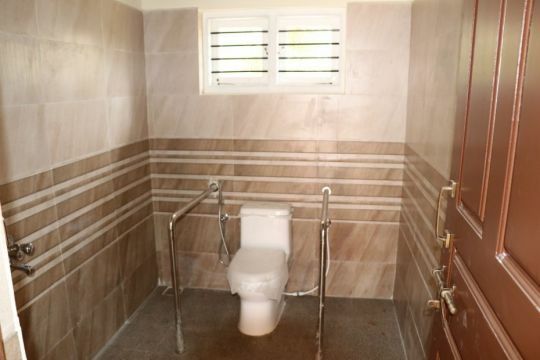 Posted in Puja Fund News, Social Services. This goat and another, who were going to be killed, were liberated and the merit of this was dedicated to the long life of Lama Zopa Rinpoche. Beings that would otherwise be killed and eaten as food are purchased for the sole purpose of liberating them. 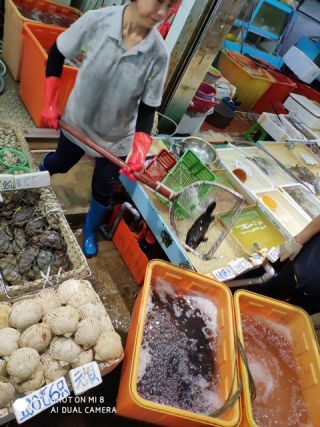 In July, over 2.5 million living beings, including large and small fish, shellfish, and two goats, were liberated in Hong Kong, Singapore, and Nepal with dedications made for Lama Zopa Rinpoche’s long life. 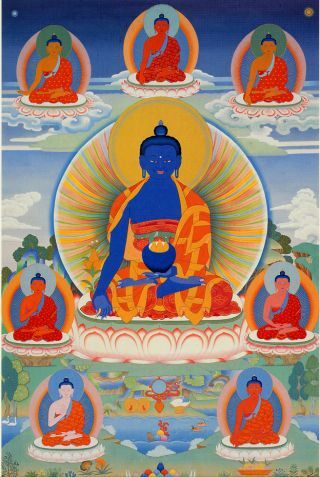 These beings were taken around holy objects and blessed with mantras and mantra water before release. 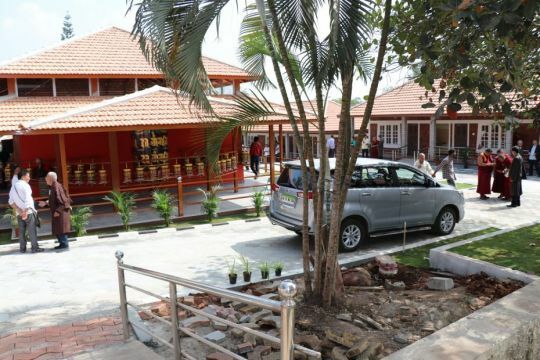 In Singapore, at Amitabha Buddhist Center, Ven. Tenzin Drachom arranged the liberation of 2.5 million lives. In Hong Kong, at Cham Tse Ling, Ven. Pemba arranged the liberation of 12,516 lives. 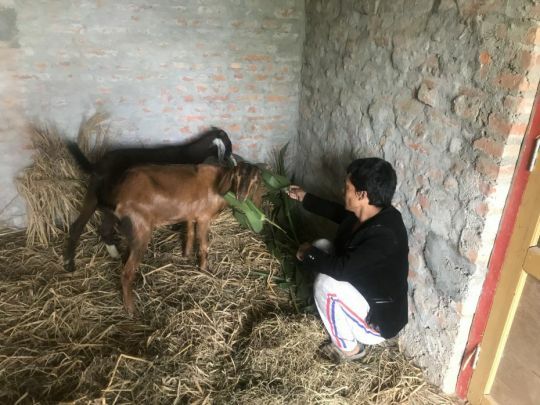 In Nepal, Tania Duratovic of Enlightenment for the Dear Animals joined Kopan Monastery in liberating two goats that would otherwise be killed. The two goats were later put on the Animal Liberation Sanctuary land to live out the rest of their lives. Lama Zopa Rinpoche named the two goats Conventional Bodhichitta and Ultimate Bodhichitta. 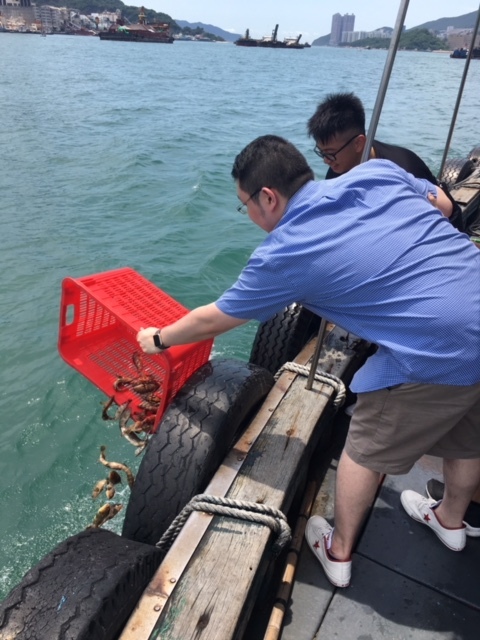 Some blessed beings being returned to the water in Hong Kong after the liberation practices. Please rejoice that over 2.5 million sentient beings received blessings and kindness from students of Lama Zopa Rinpoche– those offering the practices as well as those who have donated to the Animal Liberation Fund. All the merit of animal liberations is dedicated to the long life of Lama Zopa Rinpoche—something worth rejoicing in as well! 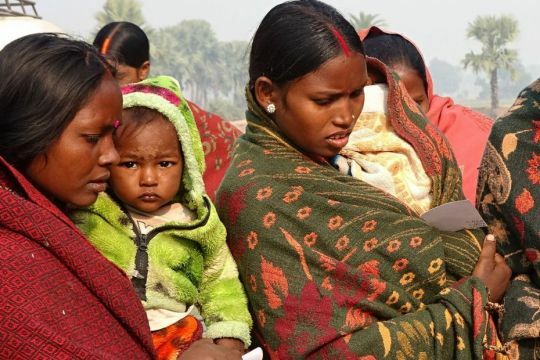 Mothers and children being cared for at Maitri, Bihar, India, January 2018. Photo by Phil Hunt. Since 1989, Maitri has been operating as a beneficial example of Dharma in action. 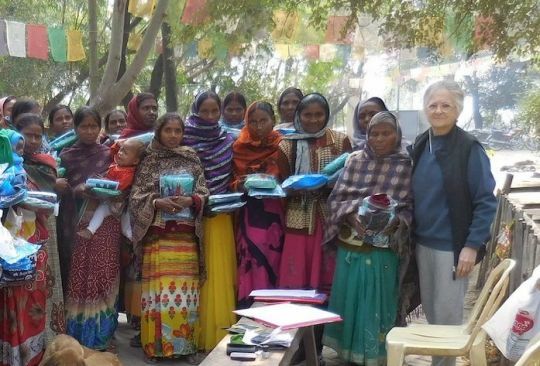 Maitri is a registered charitable trust in India working to support the poor and disadvantaged in the province of Bihar, India. Director Adriana Ferranti with women receiving support from Maitri. While Maitri was created to fight and provide education about leprosy and support leprosy patients, this NGO is also engaged in eradicating, controlling, and educating others about tuberculosis, HIV/AIDS, and birth control; offers medical assistance and care for expecting mothers and new born babies; provides life-saving assistance to malnourished small children; supplies rehabilitation for disabled people; and rescues and cares for animals. Please take a few minutes to watch this inspiring video of Maitri’s work by Marc-Andre Brunelle. 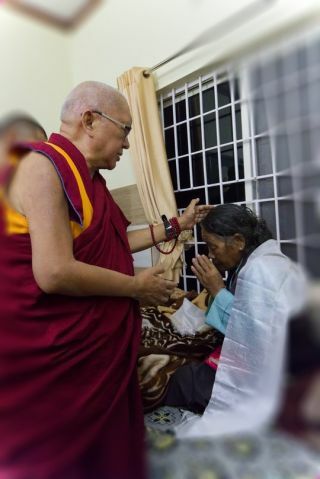 Lama Zopa Rinpoche giving a blessing to the cancer patient at Rabgay Ling Old Aged Home during a visit in 2017. Since 2015, the FPMT Social Services Fund has been supporting Rabgay Ling Old Aged Home in Hunsur, India, which serves 20 elderly residents. A grant for US$26,839.69 was offered this year to cover the cost of food for 2017 and 2018, as well as for an emergency fund for medical care for the elders in residence. In this way, FPMT is supporting these vital needs of the precious elders. 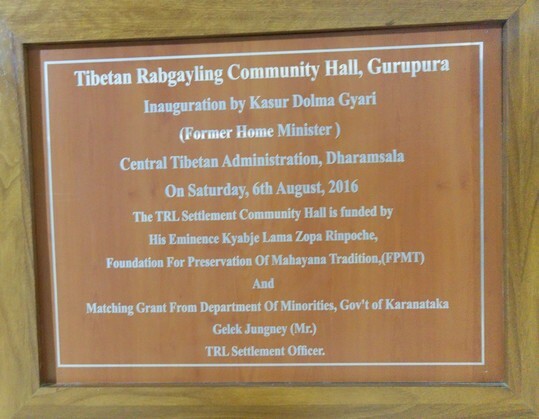 FPMT has also sponsored the building of a community hall for this home, as a place to meet and do Dharma activities and cultural events. To date US$203,826.95 has been offered to this home. With the help of kind donors, supporting these elders is now a yearly commitment for FPMT Charitable Projects. Plaque at Rabgay Ling Community Hall. 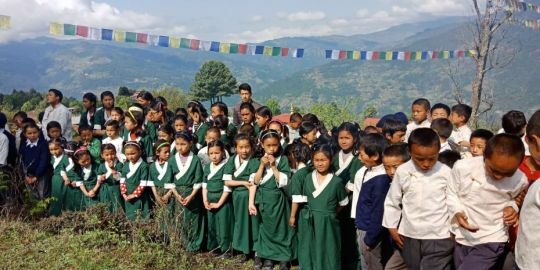 Assisting Tibetan refugees is a priority for the FPMT Social Service Fund. Annual support is now offered to five elderly homes in India caring for Tibetan elders who are otherwise destitute. Please rejoice that this support continues due to the generosity of many. 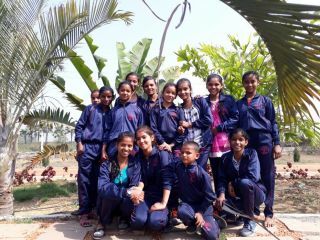 Children and staff of Maitreya School. 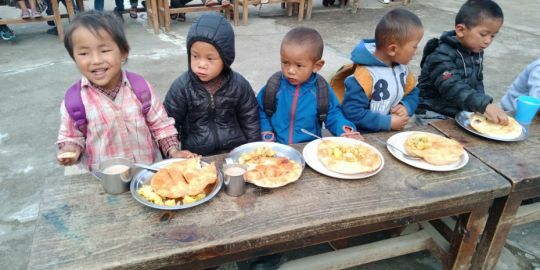 Maitreya School, a social service project of Root Institute, Bodhgaya, is a free school benefiting impoverished children from neighboring villages. 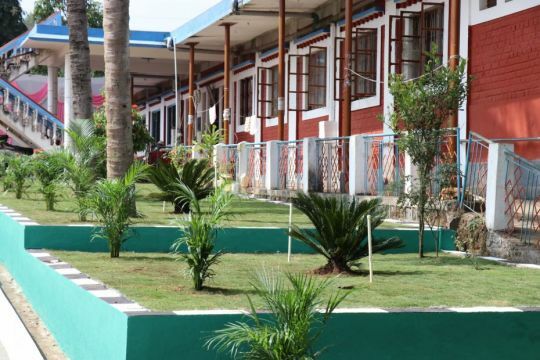 The school offers children living in one of India’s poorest states a precious opportunity. Not only do they engage in a traditional education but, more importantly, they receive life skills in compassion, honesty, and loving-kindness presented through Buddha’s teachings. The core of the training and vision of the school is: making lives meaningful. For the sixth year, the Social Services Fund, thanks to a kind benefactor, has offered support to Maitreya School. A grant for US$10,000 was offered toward the school’s operating costs. Please rejoice in another year of support offered to the education needs of at-risk children in Bodhgaya, India. Goats at the Animal Liberation Sanctuary receive blessings from holy objects . Every day around the world millions of animals are killed and mistreated needlessly. In countries like Nepal, the care and management of animals is very poor and animal sacrifices are common creating tremendous suffering for the animals and those involved. Animal Liberation Sanctuary, near Kopan Monastery, was established to provide shelter and care for animals who have been rescued from being killed, so that they may live out their natural lives in peace and attain a higher rebirth through exposure to the Dharma. The animals (nine cattle, fifty goats, and one sheep) regularly hear mantras and are led around holy objects. 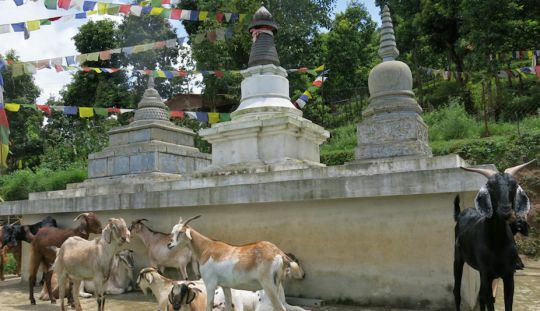 The sanctuary has a main animal shelter designed to provide a healthy environment throughout Nepal’s seasons, it has facilities to separate weaker animals from the main flock, and it is designed to reduce water use and waste. The sanctuary has an animal shed, treatment and isolation building, quarantine area, and caretaker house. For the sixth year, a very kind benefactor has worked with the Social Services Fund to issue a substantial grant for the ongoing work and care of the sanctuary. We are delighted to report that a US$10,000 grant has recently been issued which will be used for ongoing food and care expenses, as well as for urgently needed bars over the windows of the goat shed. In 2016 one of the dogs was taken by a leopard during the night and in 2017 a female goat was taken in broad daylight by a leopard with two cubs. The staff were too late to chase the leopard away and the goat was killed. Unfortunately habitat loss has forced leopards closer to the urban fringe. The window bars will hopefully make the shed secure at night and vigilance from the caretakers will prevent future attacks during the day. with the set up and the condition and care of the animals. Please rejoice in another year of support being offered to this wonderful project which benefits animals so in need of support, care, and kindness. The Animal Liberation Fund supports weekly animal liberations and extensive dedications offered by Sangha at the residences of Lama Zopa Rinpoche. When funds allow, additional animal liberations conducted in Singapore and Hong Kong are supported, as well the Animal Liberation Sanctuary in Nepal, MAITRI Charitable Trust in India and elsewhere. You are welcome to offer any amount toward this ongoing work.